Some images from prehistory have influenced many artists throughout the course of the 20th century, many of which can be found in the new book titled Invisible Women of Prehistory: three million years of peace, six thousand years of war by Judy Foster with Marlene Derlet. 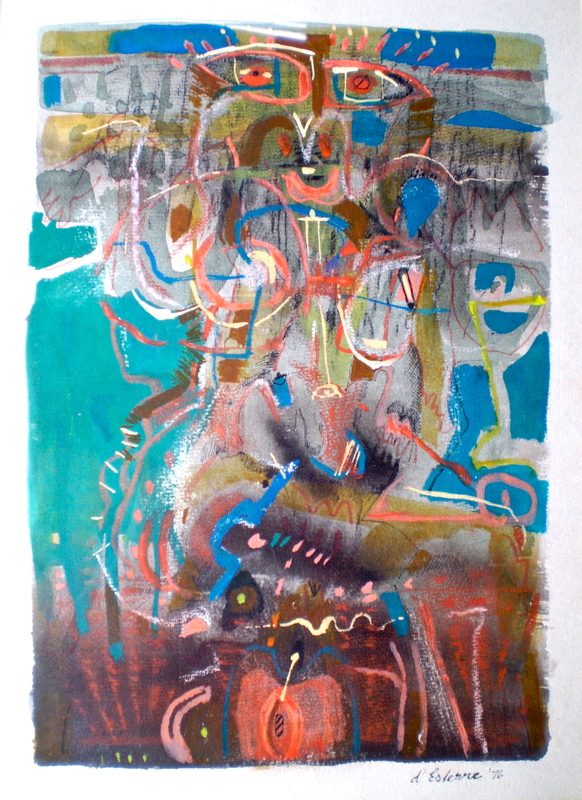 Some of my earlier work from the 1970s to the 90s was influenced by Tassili rock art. Later aspects of the Minoan Bronze Age and Ancient Greek myth influenced me because these legends were on the fringe of history and prehistory. The imagery on the excavated art, sculpture, artifacts and architecture were witness to cultural and social upheaval. However in Minoan figurines were displayed positive depictions of women often depicted in rituals and social interaction. They were not confined to domestic spheres. Neolithic Minoan Crete: Knossos. Archaeological finds at the complex at Knossos 6km from Heraklion. Illustrations by Judy Foster, sourced from Invisible Women of Prehistory: three million years of peace, six million years of war. These sensitively depicted drawings by Judy Foster are interesting because they show that in Crete styles of sculpture appeared to change over time. 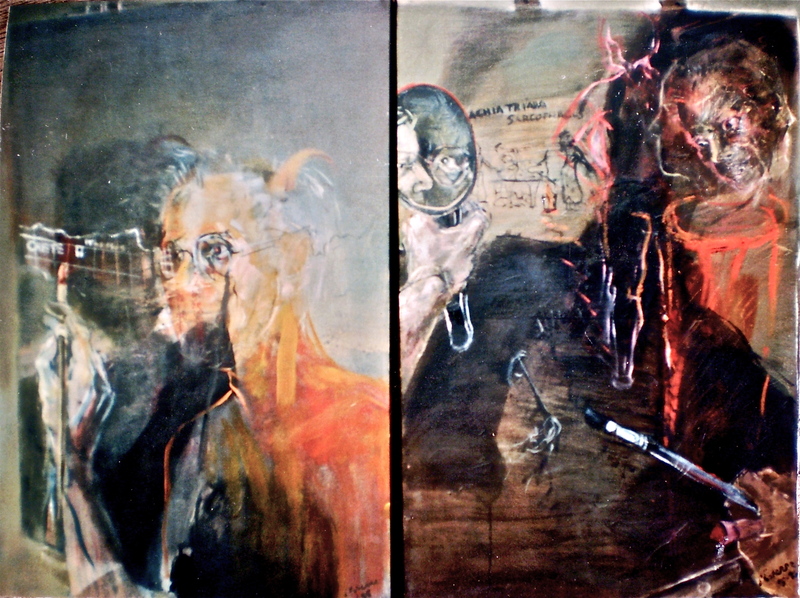 Figures 1 and 2 are dated approx. 4500 BC. The Neolithic style of imagery, theriomorphic and stylised meant that it referred to all women. Where as figures 3 and 4, dated approx. 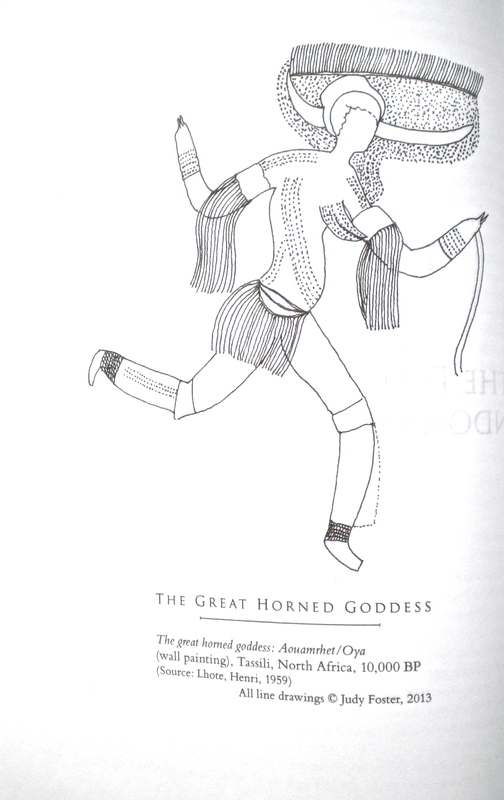 1600 BC depict a particular person. 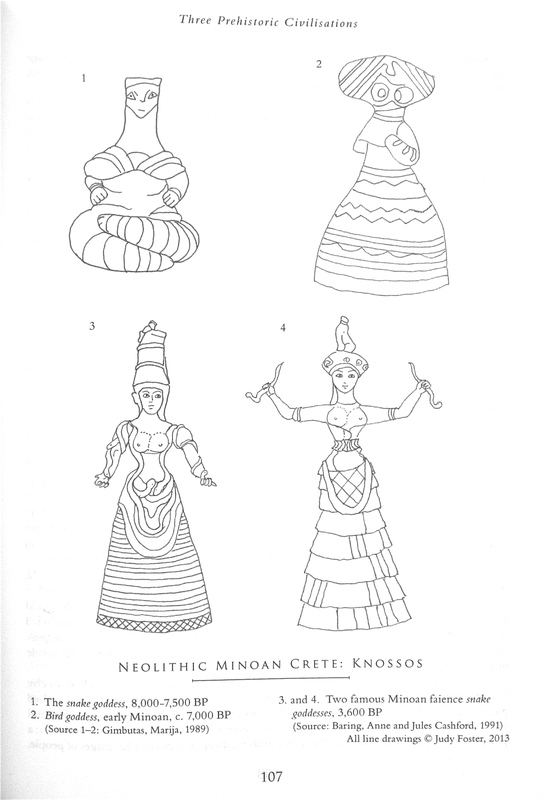 Generally art of the Neolithic has an abstract character compared with that of Minoan Crete where naturalism came to the fore, The type of activity, style of dress details, attributes and emblems were rendered carefully. In comparison figures 1 and 2 are static, that is the body and head morph and distort into aspects of a snake, bird and column. However the later representations that also refer to animals show depictions of real figures and real animals. 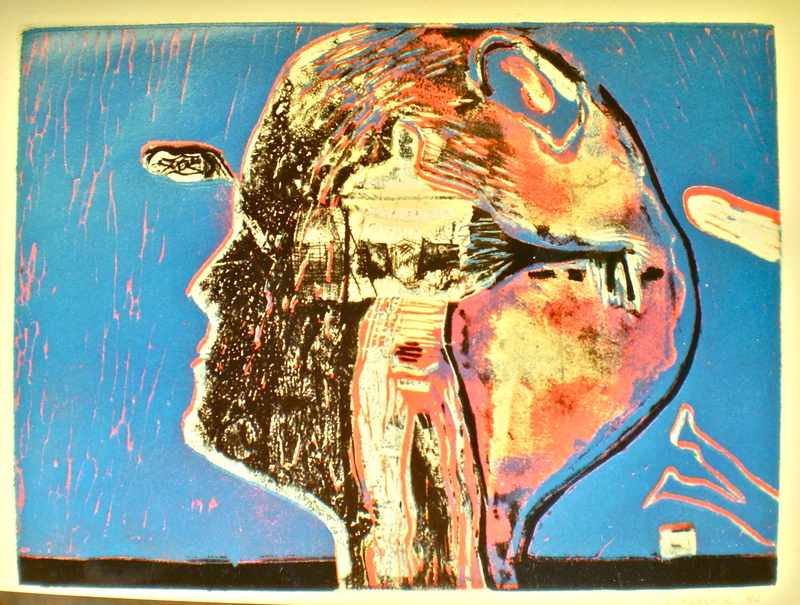 Instead of a columnar shaped head and neck in figure 1 the image, that is figure 3, of what is thought to be a priestess has a column shaped headdress. What these four figures have in common is complex symbolism, aspects of which are explored in this book. The symbolism and meaning became a poetic source incorporated into my imagery as I aimed to combine Minoan symbolism with European oil painting. I visited Crete to aid to my research in 1993. My imagery during the last ten years developed and changed, the symbolism remained but functioned as a form of disguised symbolism. This enabled me to use the paint in a freer mode where its organic texture combined with abstract shapes. The image below is from a series titled Eye and Site 3. 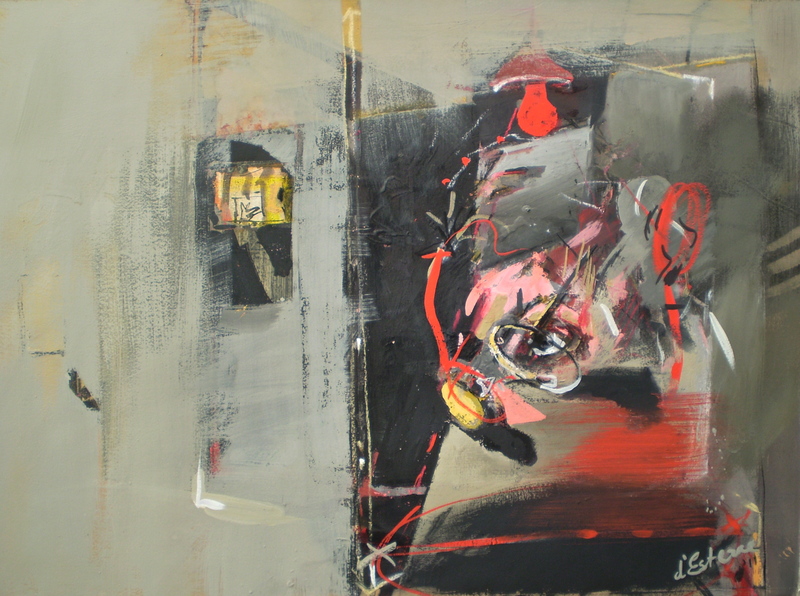 The painting titled Recall, 2008, is from a series titled Eye and Site 2. 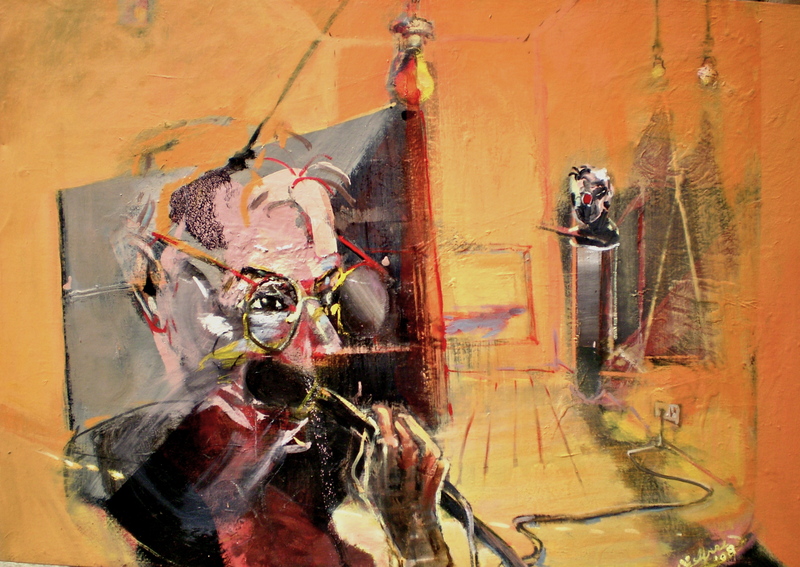 Categories: Drawings, Mixed Media, Oil Paintings, Prints | Tags: Crete, oil painting, Women's history | Permalink.